Twitter has gotten a lot of press lately, what with the latest update which introduces a doubled character count, and the United States President and his Twitter fingers. But while some brands may be quick to write off this social media platform, there are still some great ways that Startups can utilize the channel to their advantage. One of the best ways being Twitter chats. To put it briefly: Twitter chats are regular gatherings of like-minded people on the platform, who discuss relevant topics in a discussion that is monitored and hosted by a person or company. To keep the discussion on track, a hashtag is used for all participants to include in their responses, for the chat to be easily followable. The chats are usually around an hour long, and contain anywhere from 4-10 questions regarding a specific topic. When the questions are posed by the host, participants can tweet their answers, retweet and favorite answers that they like from other participants, tell anecdotes, or simply follow along to obtain new learnings and information. The chats are a great way to learn from others, share your expertise, keep up to date on new tools and tech, and discover Twitter accounts to follow for content. Why are Twitter chats good for Startups? Expand organic reach on social media: the reason we use hashtags is to boost our chance of users seeing our content on social media. It's a way to ensure that people other than our followers can see the content that we share and promote, and that we can increase our chances of engagement. By participating in Twitter chats, not only are we engaging directly with those who may be outside of our immediate network, but we're utilizing a hashtag that can potentially carry some weight and has a wider reach than our own following. Additionally, in Twitter chats oftentimes a poignant or especially insightful response can invoke retweets and favorites from users who have either a greater number of followers, or at the very least, different followers than you do. Increase followers: A natural occurrence with Twitter chats is that those who engage with each other in the chats tend to follow one another after the fact. For business, we like to follow those on Twitter who we think have important, insightful, or interesting things to say, and when we find users like that in a chat, our first action may be to follow them. When you engage in a chat, and show your perspective or an aspect of your expertise, you are likely to get followers in return. Boost credibility: One of the best things about Twitter chats is that they aren't overrun with spammers, fake "gurus," and sleezy salesmen. In terms of authenticity on social media, Twitter chats seems to be one of the last frontiers for honest and engaging discourse. Because of this, you can take an opportunity to shine with insightful commentary and in-depth knowledge on a topic you feel comfortable with. Some twitter chats are lightning fast, and to keep up and have your voice heard, you must answer quickly from the top of your head and heart. This means when people think you have something good to say, they know it's the real deal. Because of this, you and your brand's credibility with others on Twitter can increase exponentially. Display your products and services without hard selling: What I should say is that you can display your products and services without really selling at all. When you engage in a Twitter chat from your Startup's branded handle, you can naturally pique the interest of the other users you are engaging with. They may click on your profile to see who you are and what you're all about, so make sure you've got a clear and catchy Twitter bio, and a link to a great landing page. In this way you may be able to generate some web traffic, and increase your brand awareness. What Twitter chats should you participate in? Twitter chats are a great way for Startups to engage on social media and increase credibility and awareness. 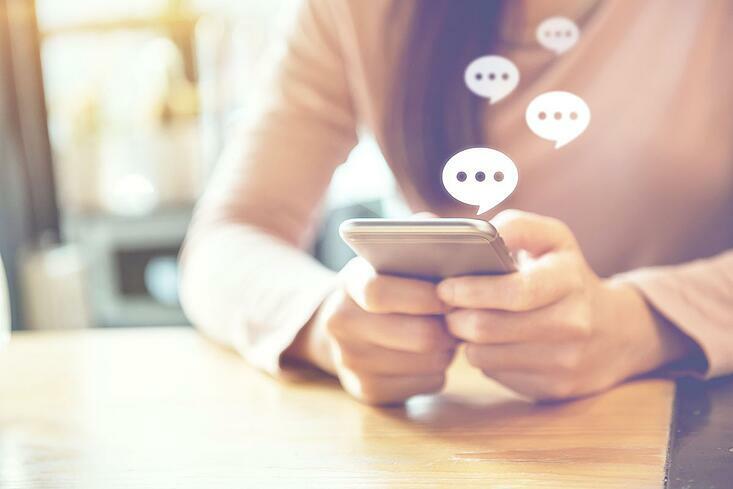 While Twitter may be difficult for some brands to get on board with, and some may even see it as a dying social platform, there actually are still some great opportunities to showcase your knowledge and area of expertise through Twitter chats. Be engaging, outgoing and authentic, and you'll see the benefits of your participation fairly immediately.